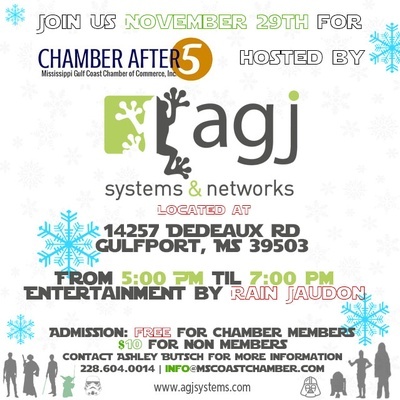 Chamber After 5 is an evening event that provides valuable networking time for Mississippi Gulf Coast Chamber of Commerce, Inc. members and potential members. The event is great business activity designed to promote Chamber members and their business. Cocktails and hors d'oeuvres will be provided. Entertainment by Rain Jaudon.